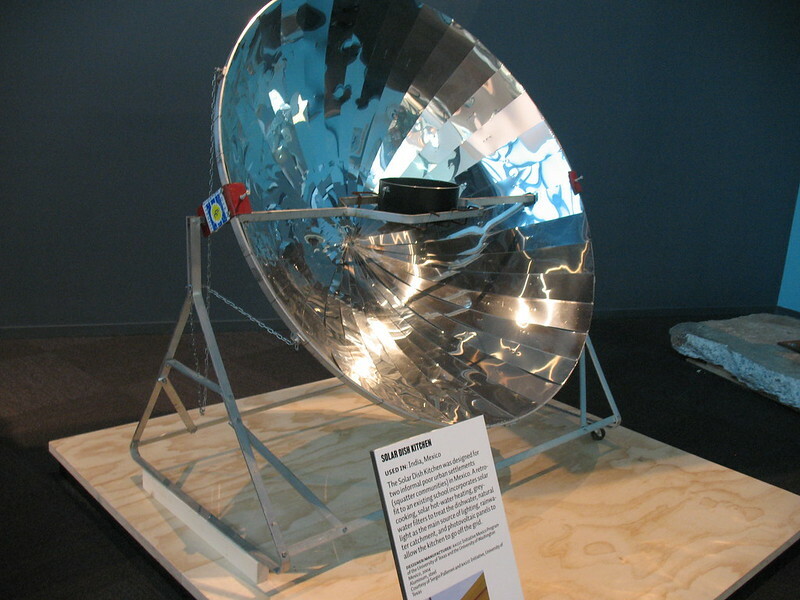 "The Solar Dish Kitchen was designed for two informal poor urban settlements (squatter communities) in Mexico. A retrofit to an existing school incorporates solar cooking, solar hot-water heating, grey-water filtersto treat the dishwater, natural light as the main source of lighting, rainwater catchment, and photovoltaic panels to allow the kitchen to go off the grid." Of the world’s 6.5 billion people, 90 percent have little or no access to most of the products and services many of us take for granted. In fact, nearly half do not have reliable access to food, clean water, healthcare, education, affordable transportation, or shelter. The exhibition Design for the Other 90% features more than 30 projects that reflect a growing movement among designers, engineers, and social entrepreneurs to create low-cost solutions for everyday problems. Through local and global partnerships, individuals and organizations are finding unique ways to address the basic challenges of survival and progress faced by the world’s poor. Design for the Other 90% showcases designs that incorporate new and traditional materials, and abandoned and emerging technologies to solve myriad problems—from cleaner-burning sugarcane charcoal to a solar-rechargeable battery for a hearing aid, from a portable water-purification straw to a low-cost laptop. By understanding the available resources and tools as well as the lives and needs of their potential users, these designers create simple, pragmatic objects and ingenious, adaptive systems that can help transform lives and communities. Watch a video blog.cooperhewitt.org/2007/05/14/in-their-own-words about the exhibition and discuss the designs in the exhibition. Visit the exhibition web site other90.cooperhewitt.org/ to learn more about the designs on view." Image published by hoyasmeg on 2009-05-16 20:08:39 and used under Creative Commons license.